We have only just begun to work our way through Ephesians, and today we are covering Ephesians 1:5-6. Paul begins his letter with two issues that have plagued Christianity from the very beginning. These are the issues of election and predestination. Both of these issues are found in these opening verses, and we must make sure we understood what Paul was talking about before charging ahead into the rest of letter. These two issues are central to understanding the rest of the letter. We are in a section that is one big long sentence in the Greek. Ephesians 1:3-14 are one sentence. Out translations have conveniently divided it up into smaller more manageable pieces, but this one long sentence is all about the spiritual blessings or spiritual possessions or spiritual riches that believers have in Christ. The four verses that open this long sentence concern the blessing of our security from the Father. He has promised, He has chosen, He has decided that those who place faith in Jesus Christ for eternal life, these He will bring finally and ultimately into heaven. That in a nutshell, is what the issues of election and predestination concern. When we looked at Ephesians 1:3-4 about election, God chose believers in Christ as more important than anything else in the world for the task of being holy and blameless in His sight. This is something He has given us the tools to do now, and something that ultimately will not be accomplished until we become sinless and perfect in heaven. God promises to make sure that this happens. Are you tired of life? Are you tired of sickness and pain? Are you tired of death and sorrow? God’s promise in verse 4 is that in all that He created, we are number one on His priority list, and that when we make it to heaven, there will be no more sin, there will be no more sickness, there will be no more death or pain. The truth of election is that God values us. We are important to Him. What a blessing of God for the child of God! I think I can endure any amount of pain and hardship now, during this brief life of mine, if I know that when I die, I will spend an eternity without pain and sickness. That is what Ephesians 1:4 promises with the truth of election. It is also what Ephesians 1:5 promises with the truth of predestination. Ephesians 1:4 was a key verse on election, this is a key verse on predestination. They are similar ideas, but with one key difference. Election has to do with God’s people, predestination deals with God’s purposes. Election is the who; predestination is the what. Some people are scared of predestination, but we should not be – for whatever it is, it begins with the love of God. Before we discuss what this verse is teaching on predestination, we should make sure that we understand what the word “predestination” means. To define it, you can take the word and cut it in two. Pre means “before” or “previously” and destined means “to decide.” So the word predestined means to previously decide, or to decide beforehand. From the Greek, it literally means “to mark out beforehand.” When I used to direct summer Bible camps, I had a game planned that needed boundaries. So several hours before the game was scheduled to be played, I took some rope and went out into the forest and marked out the boundaries beforehand. That is similar to what God has done for us and our future. All of us predestine things every day. If we are thinking ahead, we are king of deciding beforehand what we will do in a certain situation. Have you ever thought about what you would do if you won a million dollars? If so, you have predestined the million dollars. Have you ever thought about what you might do when you retire? If so, you have predestined your retirement. Before Wendy gave birth to our first child, we found out that we were going to have a girl. In the weeks after we learned this, we predestined her name, we predestined where she will sleep, how she will affect our schedule and the many other things that need to be decided before she gets here. Of course, with humans, even though we decide things, that does not guarantee that it will happen, because we are not in control of everything. But God is in control. He does have all power. So when He predestines something, it is guaranteed to happen. 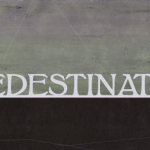 So what has God predestined? The first thing to understand is what God has not predestined. The rest of Scripture proves this. In the only two places Scripture speaks of predestination—here in Ephesians 1 and also in Romans 8–9— there is never any mention of God predestinating some to heaven and others to hell. Rather, He predestined, He decided beforehand, not that some would receive eternal life and others be condemned to eternal death, but that those who placed faith in Jesus Christ would be adopted as God’s sons—would be eternally secure, would make it finally to heaven, and would be conformed to the image of His Son. Predestination has to do with the believer’s future, not with the believer’s past. So with this understanding of predestination in mind, let us go on to consider what Paul says about predestination. In Ephesians 1:5, Paul writes that God predestined us to be adopted as his sons. Let’s take this one part at a time. Notice first those two little words to be. Remember in Ephesians 1:4, how I pointed out that if God had chosen whom he was going to place in Christ, then the verse should say “He chose us to be in Christ” but that it does not say this? It says, He chose us in Christ. Well here, we see that we are predestined to be adopted. Again, many will teach from this verse that God has chosen from the world of the unregenerate those whom He wants to receive eternal life. But notice that eternal life is not mentioned here. Adoption is. And when you do a study of what it means to be adopted as his sons, we learn that it is a future event called glorification where we receive new bodies that are completely free of sin and all of sin’s effects. The key verse on this is found in the middle of the only other passage on predestination. It is Romans 8:23, and it says that we wait eagerly for our adoption as sons, the redemption of our bodies. This is something God predestined for all Christians, and it is something that has not yet happened. 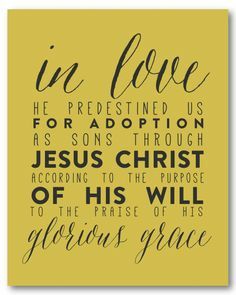 God predestined, or decided that those who believed in Jesus for eternal life, these same people would be adopted into His family that is, He would save them fully, and give them new and perfect bodies that will last for eternity! That is what it Scripturally means to be adopted as sons. Admittedly, the idea is a bit confusing. Many people look at this term “to be adopted as his sons” and ask “But don’t we become children of God when we are born again? When we place faith in Christ for eternal life, doesn’t this also make us God’s children?” The answer is yes, it does. So if we are already children, what is the adoption? 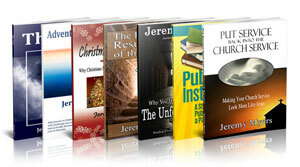 A distinction must be made being born again into the family of God and being adopted by God. When we read in Scripture that we are children of God by faith in Jesus Christ, and yet we will be adopted by God we get confused. To our minds, because of the way adoption works in our own country, this doesn’t make a whole lot of sense. In America, only orphans are adopted. No one ever adopts their own children. But at the time of Paul, adoption was something altogether different. I explain more about this in my Gospel Dictionary course. In the Roman world, fathers had what was known as patria potestas, or the father’s power. It meant that a father had absolute power over his children as long as he lived and as long as they lived. If he was in financial need, he could sell his children into slavery. If he was angered by his children, he could legally kill them, imprison them, or make them his slaves. The father maintained this right even when his son became old enough to have a family of his own, even if the son held political office, and even if he was honored by all men. There are instances in Roman history of all of these things happening. It was also Roman law that a child could never possess anything, no matter how old they became. If you were a father, and your son was the age of 30 years old, and became very rich, all that the son owned was considered to be the property of the father until the father died. It is also true that most fathers had many children by many different women. They were not polygamists; for the most part, they only had one wife. But many households also had slave women with whom the father often conceived children. These children were his children, they were not orphans, but—and this is the key—they were not heirs. So imagine the scene. A father could have multiple sons. He could have multiple sons by his wife, and he could have multiple sons by slave women. By default, the oldest son of the wife was considered the heir. But if the father didn’t like the oldest son, and he liked a younger son of his wife, or even a son of one of the slave women, the father could adopt one of his own sons as his heir, thereby disinheriting the eldest son. It was even a common practice for a father to adopt the son of some other family as his heir. This was a way to form alliance between rich and powerful families. So when Paul says that God has predestined us to be adopted as sons, he is saying that God promises to make us His heirs. As long as the child remained unadopted, he was considered to be slave, even though he was a child born of the Father. We are sons by birth when we placed faith in Jesus Christ, yet, though sons, it is as if we were still slaves. But because of our Father’s great love for us, He has decided that He will adopt us as heirs. We get into God’s family by regeneration—or the new birth, but we become heirs of God through adoption. And while we are adopted now, we don’t receive the full inheritance of our adoption until we enter into the eternal kingdom after death. That is what Paul says God is promising to us here. God has named us heirs. We are heirs of God and co-heirs with Jesus Christ. This promise of predestination is not about God deciding who gets to heaven and who goes to hell; it is about God decided that rather than just one son getting all of His inheritance, all of His children get to share in the inheritance of His family. What a wonderful promise and blessing for His children! The rest of Ephesians 1:5 and on into Ephesians 1:6 tells us why God has decided to do this for us. We see it is because it pleases him. God does this out of His good pleasure. We see next he wants to adopts us because it is his will to do so. It is not our will. Romans 9:16 tells us that these things are not because of man’s will, man’s desire or man’s effort. It is all due to God’s will and God’s mercy. Then in Ephesians 1:6, we see that God does this because it will be to the praise of his glorious grace. Everything that God does, He does for His own glory and for His own praise. And here, it is all because of his grace. This grace, as we see at the end of Ephesians 1:6 is not earned, it is not merited, it is not worked for. This grace is freely given us in the One he loves. It is freely given. There are no strings attached to this gift. It is freely given. It is not something we worked for, or else it would be given to us as pay. Many years ago, when Queen Elizabeth reigned in England, a certain woman dressed up as a page and hid herself in the Queen’s bedroom with the hopes of killing the Queen as she slept. But before the queen was allowed to enter, the servants searched the room and discovered the assassin. They took her knife from her, bound her arms and brought her before the Queen. Knowing that her case was hopeless, she threw herself at the feet of her Sovereign and begged for the queen to show her grace. The queen looked at her quietly, and coolly said, “If I show you grace, what promise will you make for the future?” The woman looked up and said, “Grace that has conditions, grace that has strings attached, is no grace at all.” Queen Elizabeth understood the truth of this, and said, “You are right; I pardon you by my grace,” and they let the woman go. History tells us that from that moment Queen Elizabeth had no more faithful devoted servant than that woman who had intended to take her life. Eternal life is by grace alone. This means it is a free gift from God. It is received by all those who accept it through faith. And those who believe in Jesus in such a way, God promises to adopt them as His children so they can be heirs. Since these promises of God are so, since they are wonderful blessings from our Heavenly Father, we should live just like that assassin who became a servant—with gratitude and thankfulness for all that He has done and what He is going to do. 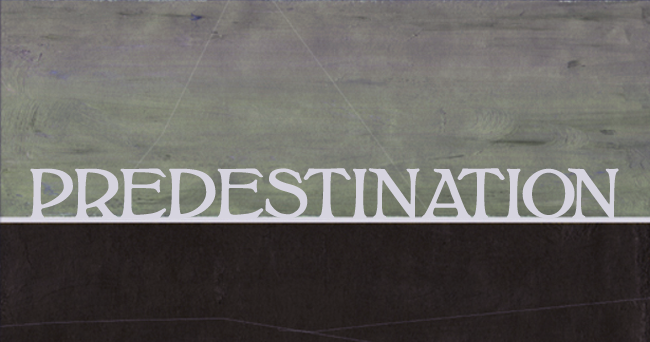 What does the truth of predestination mean for you? Maybe you will resolve to share the riches of Christ with your friends or coworkers. Maybe you will decide to lead your family in daily reading God’s Word. Maybe you will find some area of ministry here at church to get involved in. Maybe you will give generously of your money. I would encourage each of you to spend some time today and this week seeking how you can give back to God. We have looked briefly at the issues of election and predestination. We have seen that they are not words describing who receives eternal life and who does not. Rather, they are promises of God to His children that He will bring them through to the end. He promises to make us holy, and He promises to make us heirs. And that which God promises, He is able to keep. We are eternally secure in the hands of God because of his election and predestination. What an amazing blessing for today! Edward Drew, quoted by Fisk, 41. Samuel Fisk, Election and Predestination (Bicester, England: Penfold, 1997), 37. H.A. Ironside, In The Heavenlies: Exposition of Ephesians (Neptune, NJ: Loizeaux, 1973), 34-35. William Barclay, The Letters to the Galatians and Ephesians (Philadelphia: Westminster, 1976), 79-80. See also, T. Rees, “Adoption” in International Standard Bible Encyclopedia (Grand Rapids: Eerdmans, 1979), 54; and Missler, 11. Charles Spurgeon, Treasury of the New Testament: Vol II (Grand Rapids: Zondervan, 1950), 72.